The poll confirms that the UK’s Brexit vote, and Donald Trump’s election, were just early signs of the fact that most people feel the current economic/political/social system is not working for them. Worryingly, given the votes due over the next 6 months, the poll shows that French adults (89%), Italians (82%) and Germans (69%) are even more upset than American (63%) and British voters (60%). This highlights the fact that none of our political leaders are prepared to tackle the really critical issue of our time – how does the world cope with the combination of vastly increased life expectancy and the collapse of fertility rates? This change would be dramatic enough on its own. 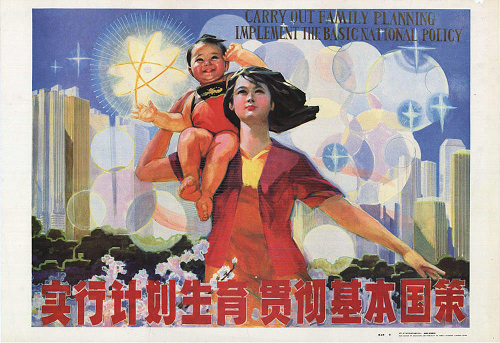 But it is being accompanied by a collapse in fertility rates. 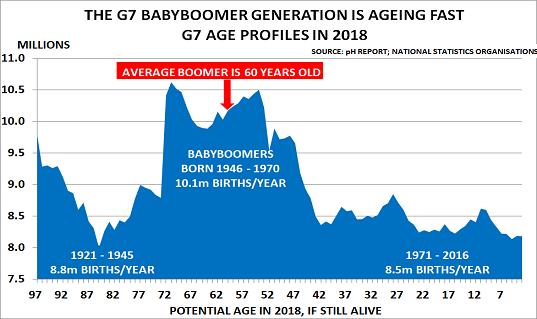 These have been below replacement levels of 2.1 babies/woman since 1970, meaning that there is a growing shortage of people in the economically critical Wealth Creator 25 – 54 age group. It is therefore no surprise that GDP growth is unimpressive. The New Old 55+ generation already own most of what their need, and their incomes decline as they enter retirement. 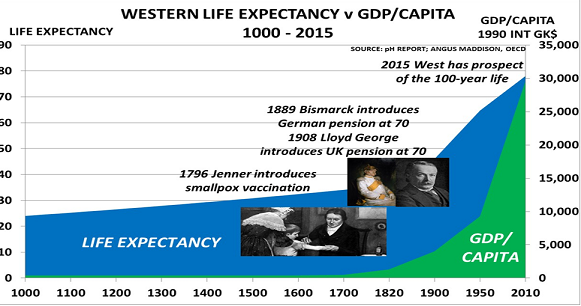 Essentially, therefore, the ageing of the BabyBoom generation means that we have traded 10 years of extra life expectancy for growth. I haven’t met anyone who is unhappy – from a personal viewpoint – with this trade. The problem is that policymakers chose to ignore the social, political and economic consequences. Instead they tried to compensate for this slower growth by printing money. But all this has done is to create vast levels of debt, which can never be repaid. 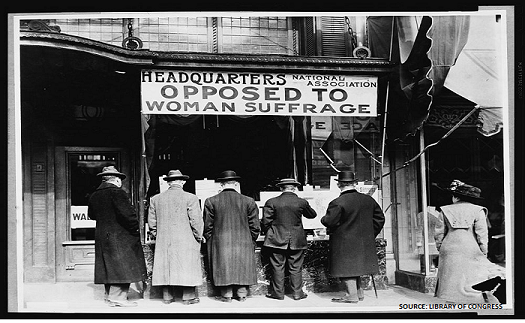 This is the key economic, political and social issue of our time. And until policymakers wake up to its implications, the Populists will continue to triumph. Ordinary people are not stupid. They can see that stimulus programmes don’t produce the promised results. As the poll shows, they understand that we are going in the wrong direction. Today, we therefore need leaders with vision and common sense to set out a plan for living in a world where the 100-year life is becoming normal. The Financial Times has kindly printed my letter below, welcoming the Fed’s decision to address the impact of demographics, but arguing that it needs to focus on demand issues, given the impact of today’s ageing populations. Sir, It is good to see the US Federal Reserve is finally beginning to address the impact of demographics on the economy, after years of denying its relevance. 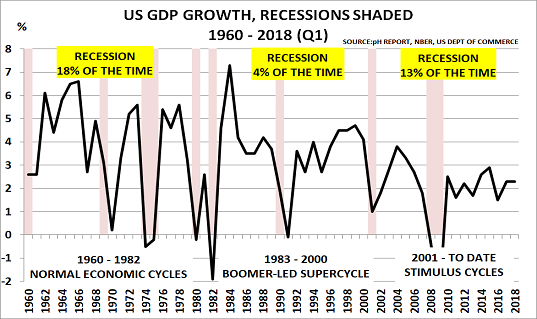 But as John Authers confirms in his excellent analysis of the Fed’s new research paper (“The effects of ageing”, The Big Read, October 26), its continued focus on supply-side issues means it is looking down the wrong end of the telescope. The Fed’s approach might have made sense in the past, when demand was on a growth trajectory as the baby boomers joined the 25-54 cohort, which drives wealth creation. 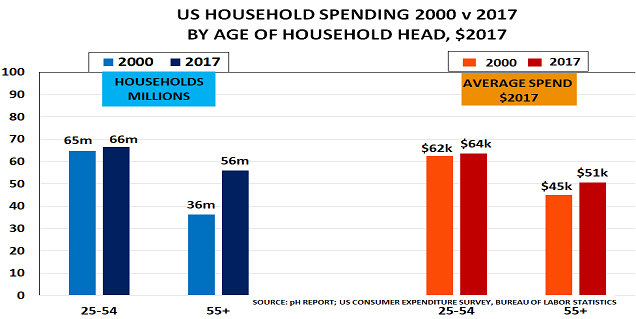 But today’s problem is growing overcapacity, not lack of supply, given that the ageing baby boomers already own most of what they need, while their incomes are declining as they enter retirement. The problem is that the Fed’s economic models were developed at a time when the population effectively contained only two main segments — the under-25s and the 25-54 cohort. From a policy perspective, the number of over-55s was too small to be of interest. But this is no longer true, as increasing life expectancy means the baby boomers can now hope to live for another 20 years after reaching retirement age. 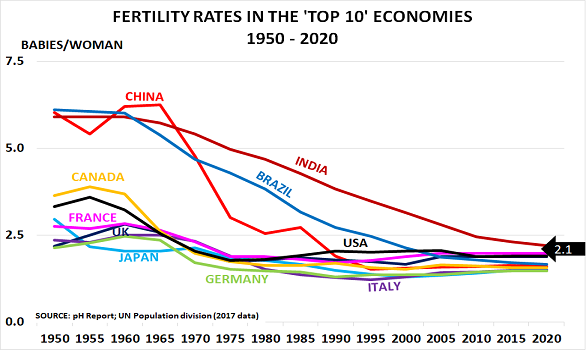 Equally important is that since 1970, fertility rates have been below the replacement level of 2.1 babies per woman in the developed world. Thus the relative size of the wealth creator cohort has been reducing for the past 45 years, while the numbers in the 55-plus cohort have been increasing. The result is that the ageing baby boomers are now nearly a third of the developed world’s population. Policymakers therefore need to urgently refocus on the demand-side implications of ageing, if they want to craft suitable policies for this New Normal world.